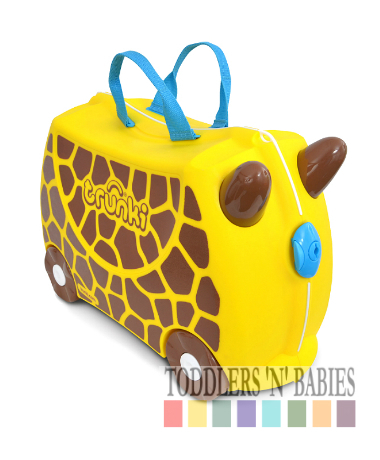 Say hello to Gerry the Giraffe! 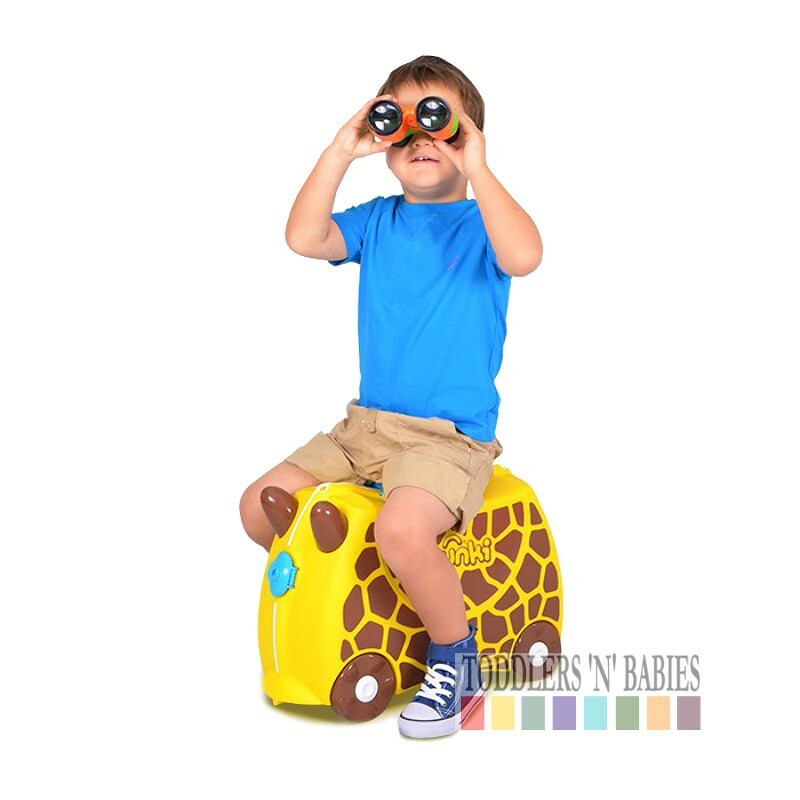 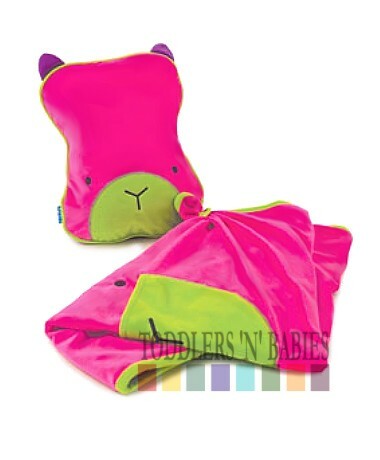 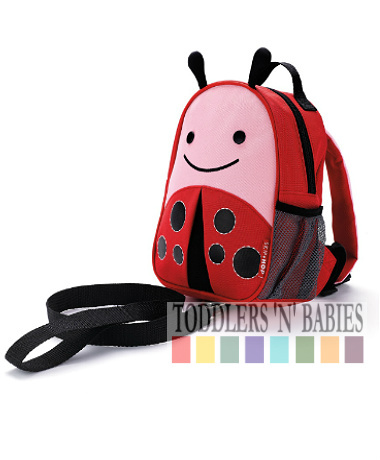 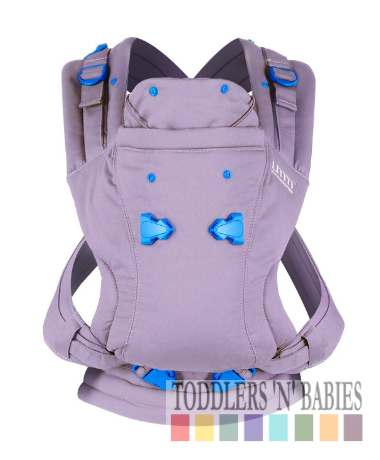 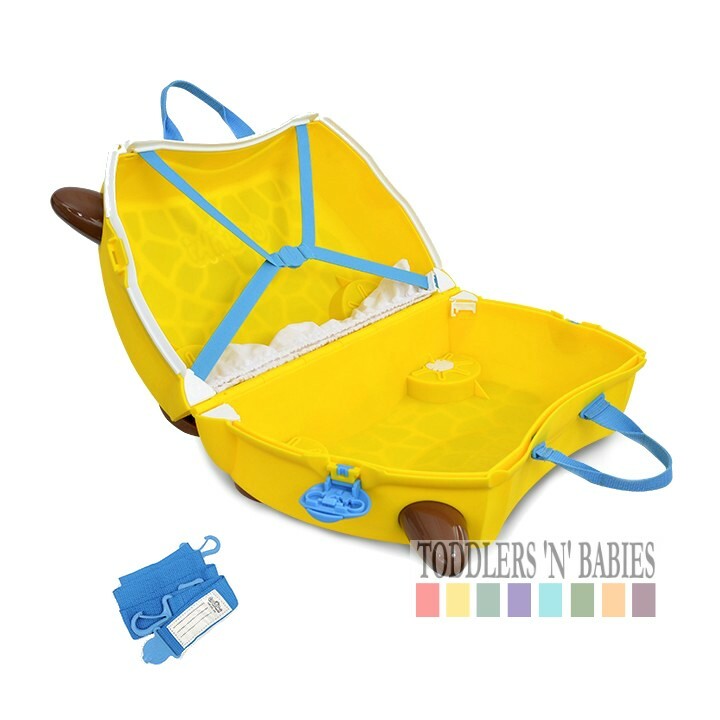 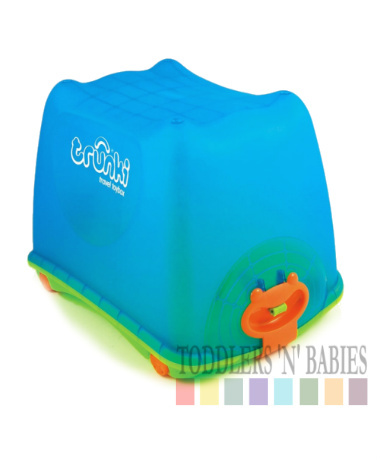 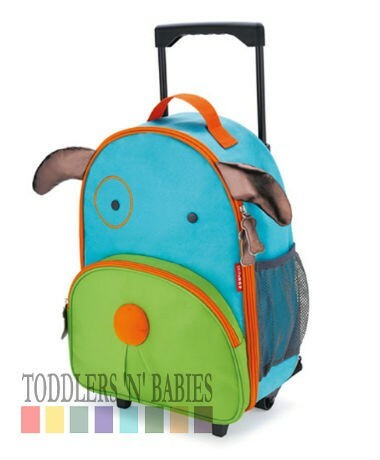 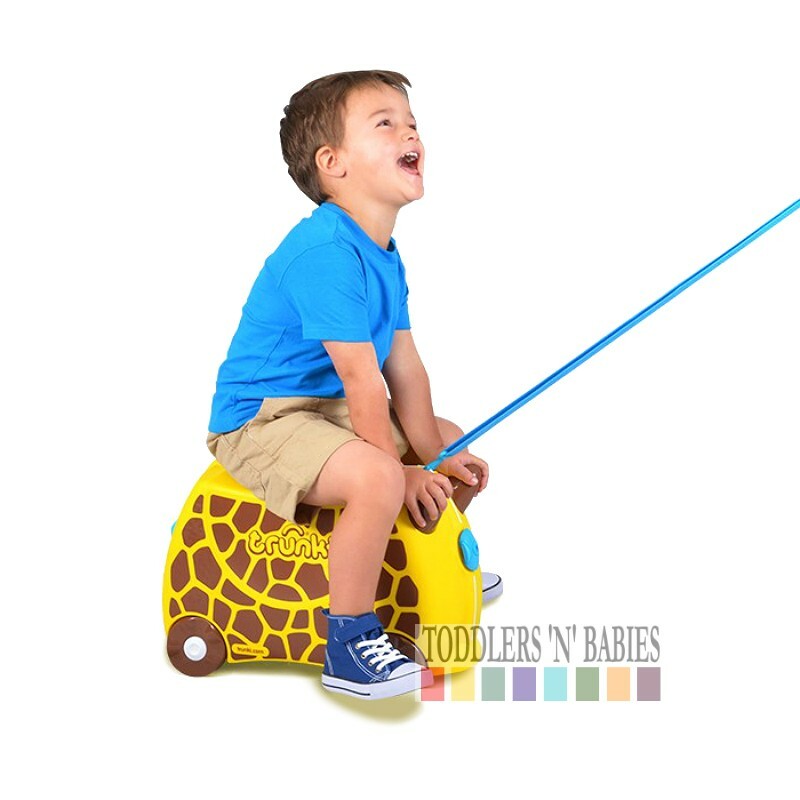 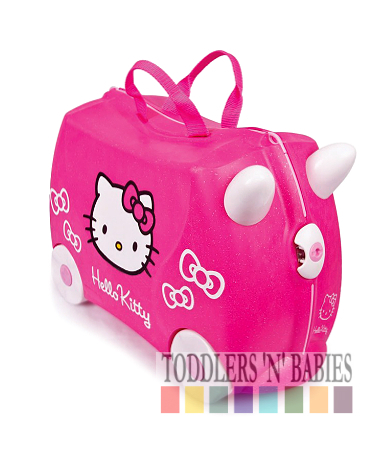 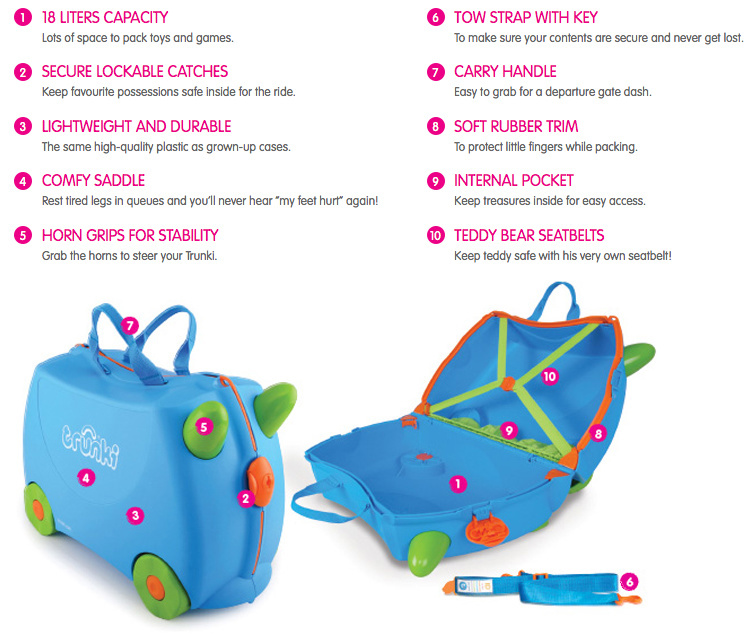 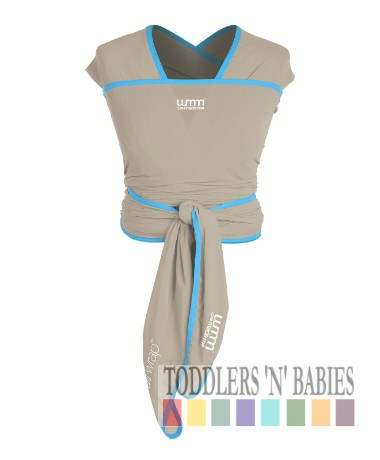 Designed for travelling tots, so your little safari explorers can now ride, carry or be towed along the grassy Savannas. 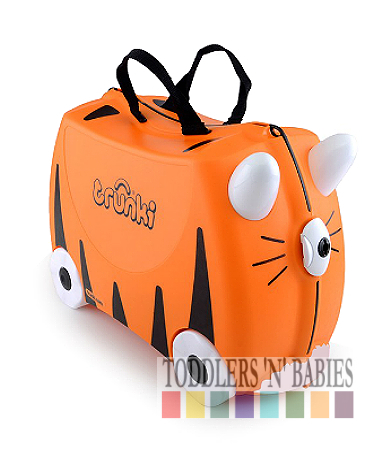 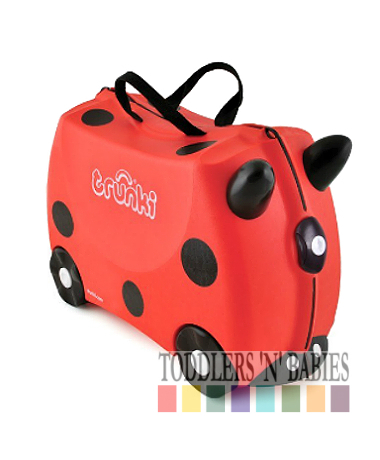 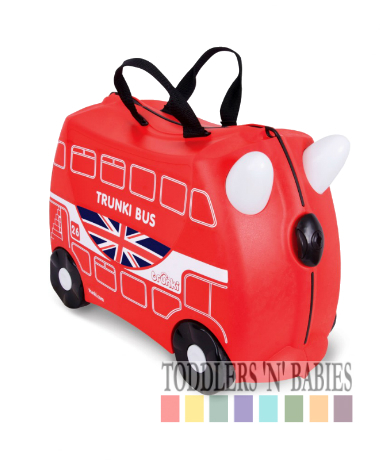 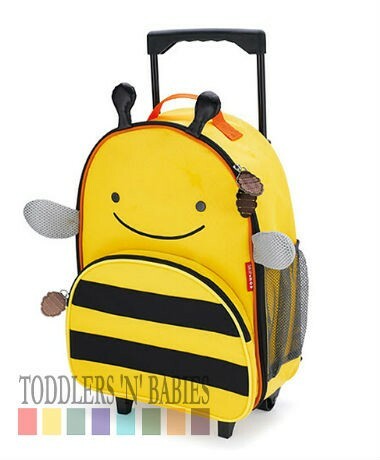 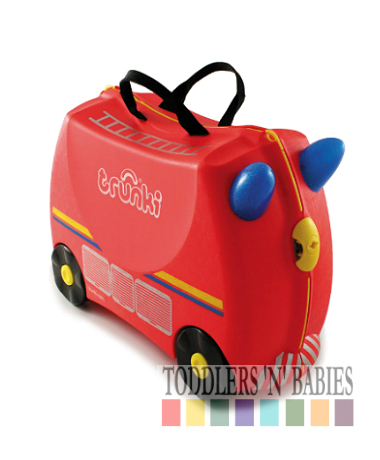 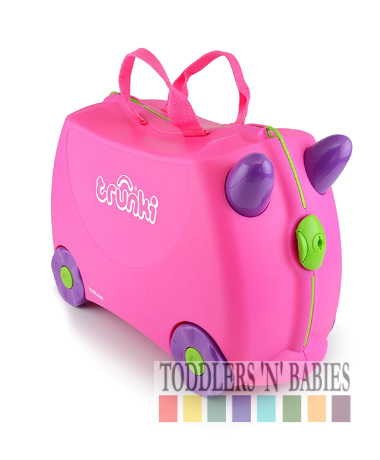 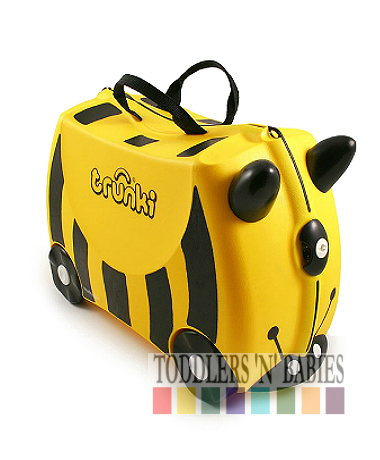 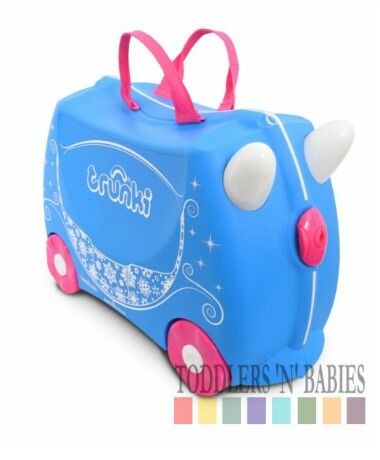 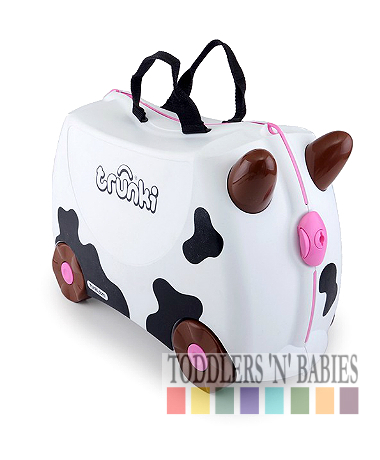 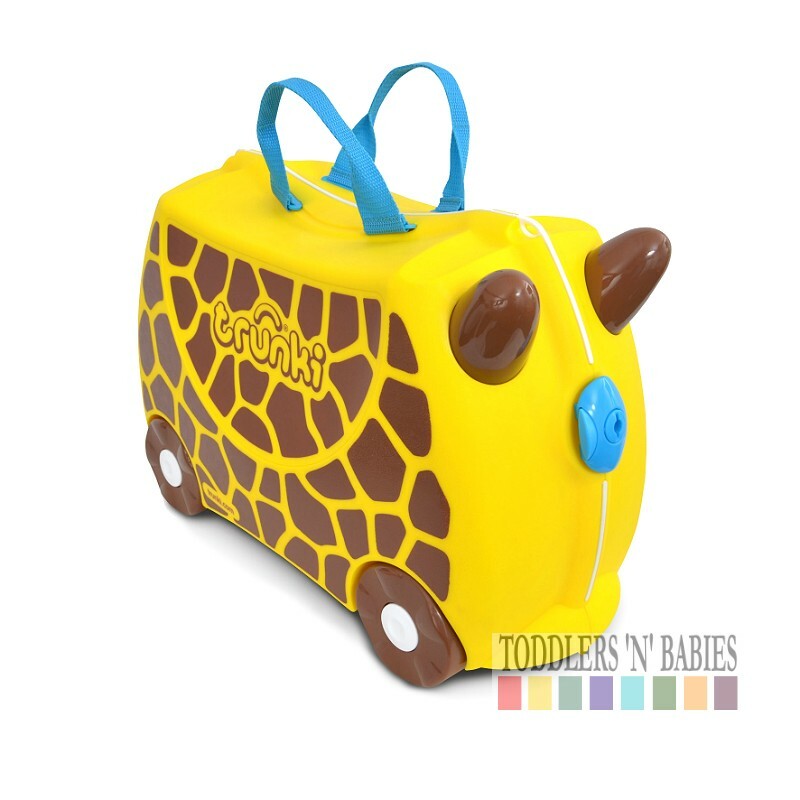 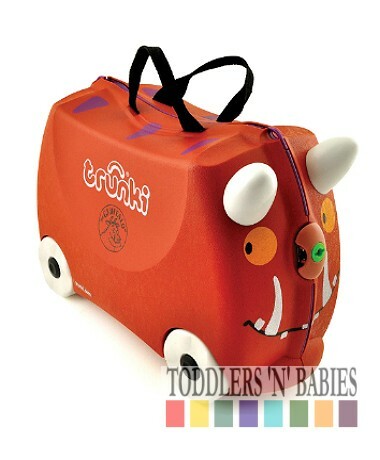 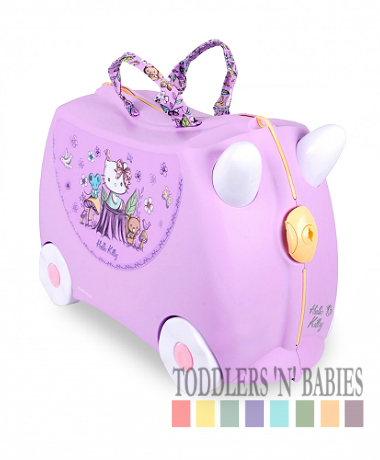 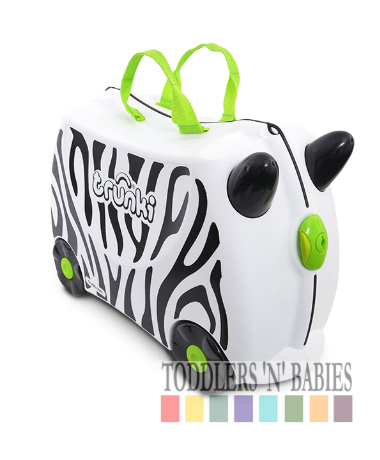 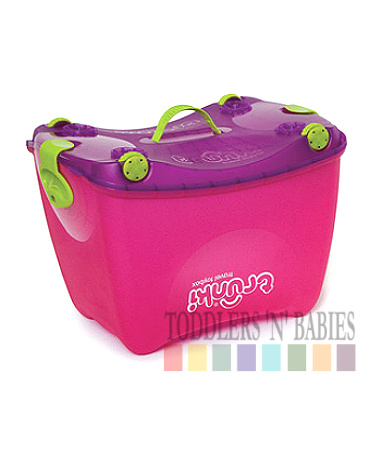 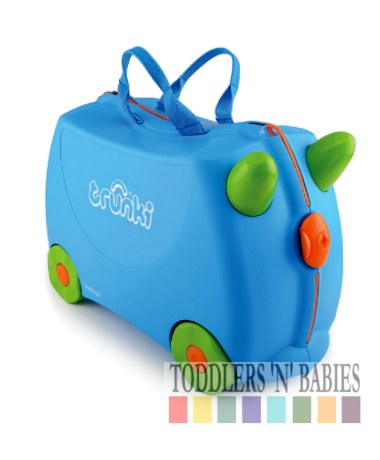 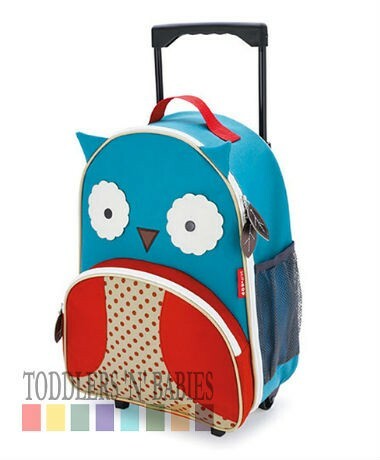 As with all Trunki ride on suitcases Gerry the Giraffe Trunki has an 18 litre capacity, a comfy saddle, secure lockable catches, a soft rubber trim, an internal pocket and teddy bear seatbelt, as well as all the other usual Trunk features.